At Yomojo we talk to a lot of parents about kids and teenagers’ online usage. Navigating safety online can be scary, but a little knowledge can go a long way. Here’s an overview of some of the up-and-coming social media apps of today, and what to look out for to keep your child safe. Described as “Skype for gamers”, Discord has become the hip way for gamers to chat about – what else? – gaming. And with 19 million daily users, it’s suddenly surging faster than Uber fares on a rainy Saturday night. 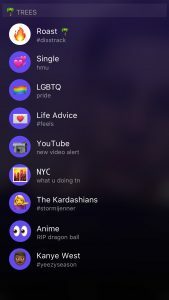 Becoming a major phenomenon, Discord is now used and endorsed by a variety of influential figures, including YouTubers who your children may watch every day. 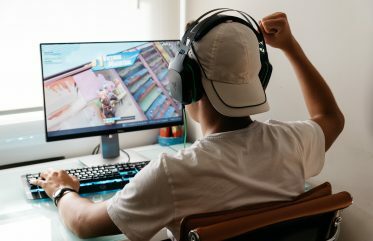 With high-ranking YouTubers such as ‘Ice Poseidon’, a popular Youtube gamer, now having their own gaming and chatting Discord servers, an abundance of audiences have joined the ever-growing platform. As of October 2018, there are over 150 million online users. That’s more than the entire population of Japan – just think about that for a second. Ice Poseidon’s discord server alone has nearly 85,000 active users, and other YouTubers’ servers are home to even more users. With such a large number of people around, there’s bound to be some creeps lurking in the shadows. With video calls readily available on the servers, do you trust the internet in this case? Even more alarming, a few of the pages on the recent tops server list are marked as NSFW… definitely not something you want your child exposed to. It’s important to ensure your child’s safety and caution when using the platform, as well as making sure they are only talking to people they know, especially at a young age. Small steps like these can make Discord a much more welcoming and friendlier environment. Our top tip: keep track of the servers your child visits and make sure they are appropriate for them. Monkey is a social app similar to Facetime in a way – its main premise involves chatting with different people via video chat, and is aimed to help teenagers “meet new people and have fun” according to its website. The selling point of the app? You are randomly connected to a stranger from around the globe and thrust into a video chat with them for 10 seconds. The notion of old-fashioned pen pals is now officially a thing of the past. Monkey relies on users’ Snapchat or Facebook credentials to create an account before they can go confiding with strangers in their thrilling chats. This makes the application’s interface less deceptive than some may think, as most people would put their correct age in these social media profiles. Emphasis is placed on the word most, however, as Snapchat and Facebook can just as easily be exploited by the usual atypical minority. With 24/7 moderation to prevent cyber bullying and predators with “state-of-the-art learning technologies”, the app may seem like a relatively safe environment. Then again, these moderators also rely on reporting of inappropriate content by users themselves, then allowing it to be reviewed “in minutes”. The biggest loophole in this app is that the content users post isn’t actually confidential. The privacy section of the website states, “Personal information disclosed by you may be collected by other third parties or users of such Services”, possibly resulting in “…unsolicited messages or may be shared with or disclosed to other third parties.” With its primary userbase being underage teenagers and young adults, some parents might see how this may be concerning. Not to sound like a broken record, but the easiest way to guarantee your teens have a good time on Monkey while also maintaining their personal safety is to ensure your children are careful with what they do and say on camera. This doesn’t just apply to Monkey, but for all social media platforms utilising cameras, such as Instagram, Snapchat, and even TikTok (more on that later). 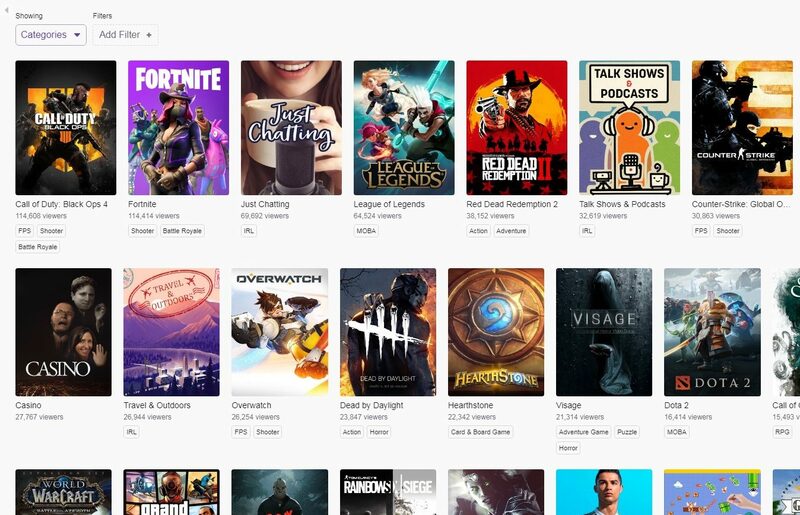 Twitch is somewhat of a recent phenomenon online, starting amongst YouTube gamers and now extending to other forms of video content. Similar to YouTube, it allows users to upload videos for their viewers to see and interact with. The main difference is that Twitch is a live-streaming site, so the videos posted tend to be over an hour long each and are recorded in real time for everyone to see and comment on. Who has time to watch all those videos? Your children and teens, that’s who. The site is more convenient for content creators as it requires less work from them, with no editing of videos and short term gain in the form of small donations from the prevalent live viewers. Twitch’s own terms and conditions state that “Twitch Services are not available to persons under the age of 13”, meaning children won’t be able to make an account if they’re honest about their age. However, if I’ve been able to watch a live-stream without an account, why should that stop a curious child? Your kids may know what Twitch is due to the large number of YouTube personalities migrating to its convenient system for an occasional more interactive experience with their followers (and some quick donations from overly eager fans, too). Many of these are family-friendly channels for kids to peruse, including wildly successful YouTube gamers such as The Diamond Minecart and iHasCupquake, while other popular YouTubers play games with the occasional f-bomb such as VideoGameDunkey or PewDiePie. Most YouTubers tend to have differing content in terms of age-appropriateness, generally extending from (big surprise) their YouTube content. While there is a live online chat system that allows users to comment at any moment during the stream, individual streamers are able to restrict specific phrases, words and hyperlinks, meaning your child may be less exposed to foul language and inappropriate website links depending on whose channel they are watching. The best way to keep your children safe on Twitch is to take the time to check on the channels they frequent, making sure the content and community is suitable for them. Last (but certainly not least), how could we ignore the app known for making tweens and children alike twerk, belly dance and lip-sync themselves to the latest pop songs in 15 second videos? Musical.ly, a former app that gathered a sizeable audience of over 200 million users in 2017, has now merged with the more overlooked social media platform, Tik Tok (No, not the Kesha song from 2009). Allowing users to film 15 second videos with different filters, background songs and special effects, they can seamlessly upload their masterpieces for the world to see. Yep, the ease of content creation on TikTok makes the app accessible and encouraging for an immense audience, and so it isn’t too surprising to note that TikTok has an average of 13 million videos uploaded every day. As you’d expect, not all of the videos are of high-quality standard, especially when children without a proper understanding of social media and its consequences upload videos of themselves for the world to see. 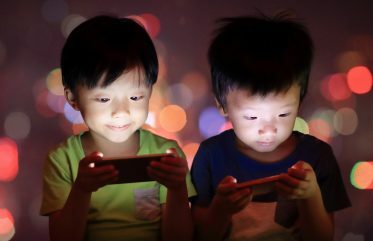 Until recently there were no restrictions in regards to age or content, meaning children were easily able to view the alarmingly large amount of inappropriate content on the platform. 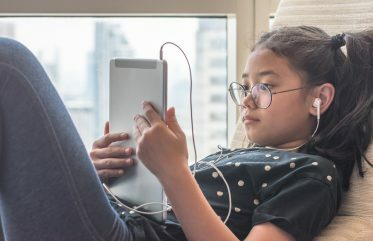 On YouTube some users enjoy taking viral videos of TikTok users and making compilations of them – and with titles such as ‘try not to laugh’ or ‘cringe compilation’, you wouldn’t want your child’s videos appearing in these. Most of these compilations tend to be mocking the children and teens for the low quality of videos produced or the awkwardness of the acting. They are viewed by hundreds of thousands of people, extending beyond TikTok’s growing viewership to the globally established community of YouTube spectators. You’ve probably even seen one or two yourself during a scroll session on Facebook or Instagram. A typical example of a Tik Tok/Musical.ly cringe compilation. Our advice to parents would be similar to that of your child using Facebook or Instagram, since the platforms have similar interfaces. If you wouldn’t have your twelve-year old using Facebook, why let them use TikTok, which could be arguably MORE dangerous? Wait until your child is mature enough for social media to let them use TikTok, it does have a minimum age requirement of 13 now (so you definitely shouldn’t be letting your younger kids use it). After all, do you want your child uploading a viral belly-dancing video before they’re fourteen? If you want to get a better grasp on what your kids are doing, just ask! Have your teen take you on a tour of their platforms so they can show you their privacy settings and give you examples of how social media makes them feel. Even surly teens may be happy to assume the role of an expert and do what they can to ease your fears. And if they don’t, it’s at least an opportunity to open a conversation about what can be done better. It’s impossible to stand over your children at any given turn. Instead, let them make the right decisions – teach them the importance of maintaining their safety while online while enjoying themselves. That way, you won’t have to.